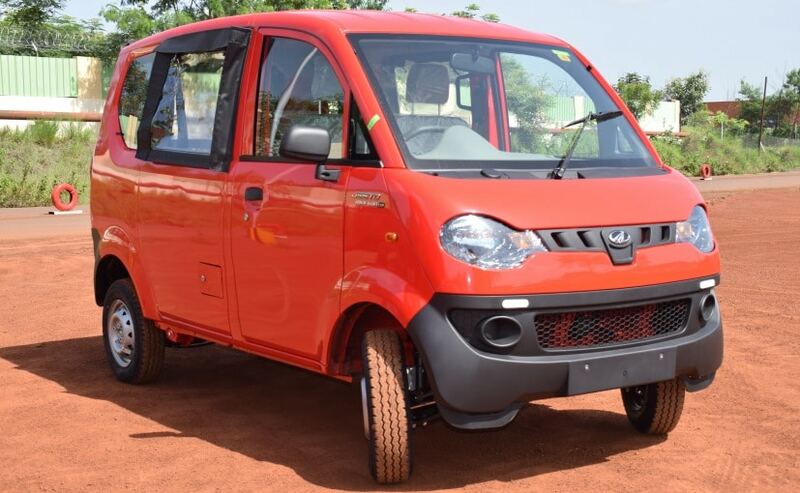 The 100,000th Jeeto vehicle to be rolled out was the Mahindra Jeeto Van, from the company's Zaheerabad manufacturing facility, in Telangana. Mahindra and Mahindra today announced rolling out its 100,000th Jeeto mini-truck in India. The milestone model was a Jeeto Mini Van, which was rolled out from the company's Zaheerabad manufacturing facility, in Telangana. The first vehicle under the Jeeto platform was launched in 2015, and the automaker was able to achieve this production mark in a period of about three years. One of the carmaker's leading small commercial vehicles in India, the Jeeto caters to last-mile transportation segment in India. Talking about the company new production milestone, Veejay Ram Nakra, Chief of Sales & Marketing, Automotive Division, Mahindra & Mahindra said, "This is a very proud moment for us. Jeeto has been a game changer in last mile distribution with its modular range, unmatched versatility and superior efficiency to haul goods across different segments. With 30 per cent more mileage, it has delivered superior value & fulfilled the brand promise of bringing prosperity into the lives of its customers by enabling them to earn more. With over one lakh vehicles produced on the Jeeto platform over the past 3 years, it is a testament to Mahindra's focus on developing best in class products". Currently, the utility vehicle manufacturer offers eight different models under the Jeeto brand, all catering to different customer requirements, both in the sub 1 tone goods and passenger segment. The diesel variant of the Jeeto is available in S, L & X series and caters to 3-wheeler, micro-truck and mini-truck customers. Jeeto is available in a CNG powered version as well, offering a fuel efficiency of up to 33.4 kmpl.